Except for asbestos abatement work, all construction work in New York is regulated at the local level. You can check with the local municipality. Typically licensures will be regulated within the city/county level. You can check with the local city/county for requirements and regulations. Contractor Continued Education: Is it Required in New York? No, it’s not required at the state level. You can check in with the local city/county for more information regarding the regulations. NASCLA Accredited Commercial Contractor License: Is it Accepted in New York? General Contractor Commercial Contractor License: Does New York Require It? For information regarding regulation or requirements, you can check with the local city/county. Is There Any Reciprocity With Other states? Regulations are different, depending on the city, so it is important that New York contractors check the local regulations prior to beginning working on commercial or residential buildings and structures. *In addition to obtaining a permit from the city, a general contracting business within the State of New York is also required to register with the Secretary of State. Following is a brief explanation of the licensing process for some of the larger cities within New York State. General contractors are required to have a license if they plan on working with buildings and surrounding land in New York City. This will include working on garages, terraces, basements, pools, patios and driveways, and other areas. The New York City Department of Consumer Affairs is held accountable for reviewing applications and issuing Home Improvement Contractor licenses to eligible contractors. If a contractor also plans to negotiate contracts, as well as sell their work to property owners, they are required to hold a Home Improvement Salesperson license. Home Improvement Contractor licenses within the City of New York are valid for just two years. The contracting licenses are regulated by the Buffalo Department of Economic Development, Permit and Inspection Services Office of Licenses. They offer various types of contracting licenses, from handyman to demolition grade licenses, and they are specific to the type of work that the contractor is seeking. Before construction work begins in Rochester, NY, general contractors are required to prove that their project meets the requirements of the city’s safety codes and guidelines. 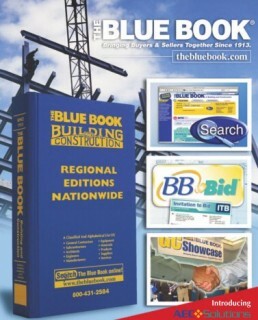 Rochester has a requirement for the general contractors to hold a building permit from the Bureau of Planning & Zoning. Permits are issued by the city permit office, within the city hall. In most cases, general contractors will need to apply for a zoning permit to go along with their building permit. The total cost of a zoning or building permit in the City of Rochester is based upon the price of materials and labor for the project. The City of Yonkers, NY has a requirement for general contractors to apply for a Home Improvement license. A notarized application needs to be turned into the city, as well as proof of insurance and any supporting documents. There is a mandatory application fee of $300. Once a Home Improvement license is issued, it is good for two years. The City of Syracuse, NY has a requirement for general contractors to go through a zoning review, and a review for building codes before work begins for a project. This is to make sure that the project meets the requirements for the city’s codes and regulations, which are put in place to protect the safety and health of the people within Syracuse. General contractors are required to go through a building codes review and a zonings review if they plan to work on both residential and commercial properties. General contractors within the City of Albany, NY are regulated by the Division of Building & Codes. Prior to construction work begins, all general contractors must apply for a building and zoning permit. The application has a requirement that general contractors need to report the location, type of work, estimated cost that they are seeking. Work is authorized to begin once the general contractor receives an approval from the planning and zoning department. Question: How do I register my construction company in New York? What forms do I need to register my new company in New York? Question: How do I look up a company in New York or see if a company name is available to register?